One of the critical elements of success – whether it’s a political campaign, a competitive corporate environment, or a public affairs strategy – is to accurately identify the messages and delivery methods to achieve your goals. 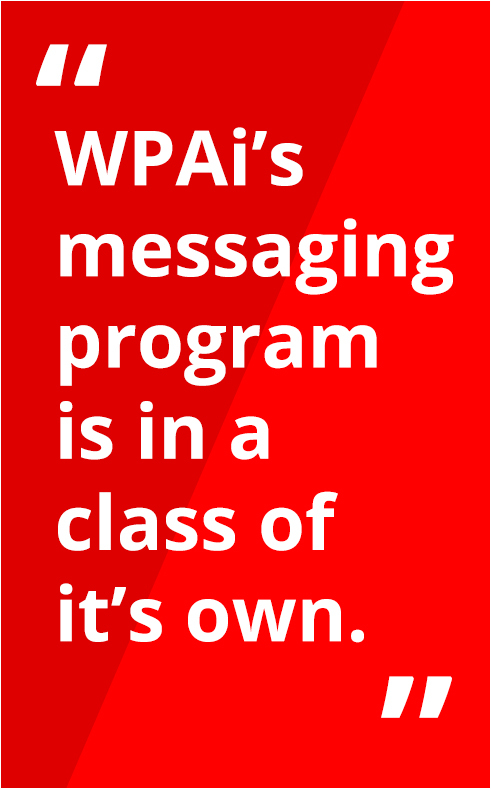 WPAi’s message development program is in a class of its own when it comes to identifying the most influential, memorable, and effective themes for a particular audience a client wants to reach. Through a battery of innovative techniques, we offer our clients more than the traditional message development exercises pollsters have been pulling off the shelf for decades. From our Facebook Issue Testing technique, to WPAi’s trademarked “Messaging Maps,” our data scientists know there’s a host of innovative and more effective ways, to assist our clients with their critical message development programs than dated methodology. Let us help you and your communications team develop the messaging program that will help you persuade, engage, and activate your audience. Facebook Issue Testing is an efficient way to quickly determine which messages impact your target audience. This method gives our clients a quick snapshot of which issues, words, and images are most effective at getting an audience’s attention. Since 2016, WPAi has conducted online issue studies in 33 states, encompassing 288 Congressional Districts. In total, we have measured 214,399 click throughs on the issue test and quantified 11,384,775 impressions. 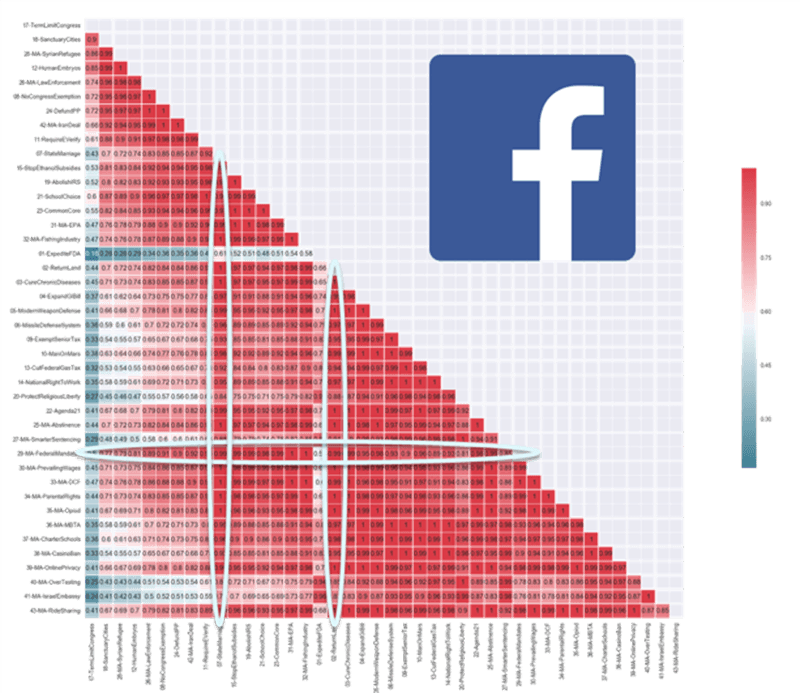 Not only does your campaign understand the score of your issues, but WPAi benchmarks each issue to comparative districts or states to help refine best language by taking advantage of Facebook’s refined learning algorithms designed by their team of data scientists. Working with your team to identify the messaging concepts, WPAi uses existing data, experience, and expertise, to develop dozens of experiments combining specific messages with visuals. These combinations are then put into the field using random assignment through online advertising, which we track and evaluate, and ultimately screen down to a manageable number for large-scale deployment. With results usually available quickly, each message is ranked according to click-through rates. Our clients are able to determine which messages and visuals are working for which segmented audience, as well as weed out those issues which generate little response. This approach potentially saves tremendous resources, such as the time and money campaigns usually spend researching audience preferences. It acts as a guidepost steering valuable assets in the right direction and cuts down on guess-work and speculation. Facebook Issue Testing is a new innovative tool that makes our clients more efficient and gives them a step ahead. WPAi’s survey and message impact assessment tools are the best in the business. Our Message Mapping process makes it easy to see what your audience is remembering, and what is moving them. For more details check out our Survey Intelligence page. Qualitative intelligence also plays a unique and often critical role in delivering insights during the process of message development. Whether the nature is political, brand management, public affairs or a high-stakes corporate interest, our qualitative techniques and proprietary tools for analysis offer our clients a thorough understanding, and an actionable set of recommendations, when it comes to navigating their issue space. findings for our clients. Our products give our clients the ability to go beyond what can be gathered via quantitative intelligence, and maximize your strategic advantage in the marketplace or in a political campaign, while identifying potential roadblocks before they may be picked up via quantitative methods. 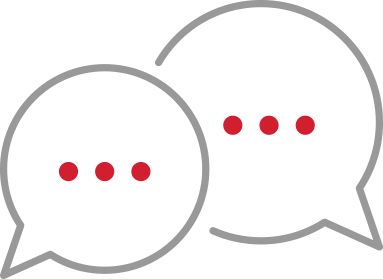 With WPAi, we leave no rock unturned when it comes to offering the best available intelligence solutions, and our qualitative tools will serve as a multiplier to navigating your message development program.